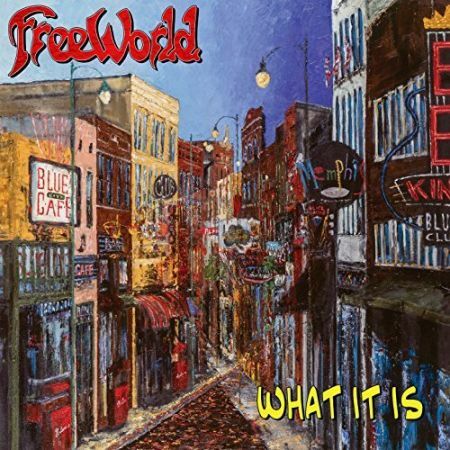 With a history stretching back over 30 years, FreeWorld is something of a Memphis institution, having been awarded a coveted Brass Note on the Beale Street Walk of Fame back in 2012. 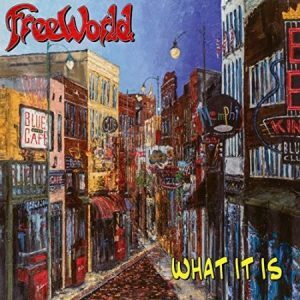 The band cites influences as wide-ranging as Booker T. & the M.G.’s, John Coltrane, Frank Zappa, The Grateful Dead, Steely Dan, and The Meters, and these names give a fair indication of what can be found on FreeWorld’s seventh album, What It Is. Opening track, “Deeper By The Minute”, sounds like a soul-funk band have kidnapped Robbie Williams’ “Let Me Entertain You” and added groove and an emotional pulse, while “Find A Better Way” goes down a rockier route, with its Deep Purple-esque chorus riff and Andy Tate’s rock guitar solo. “Dinja Babe”, by contract, with Big Star’s Jody Stephens guesting on drums and backing vocals, has a Beatles-esque vocal line in its verses. Throughout, the wall of sound produced by the horn section adds real emphasis and power. After a number of personnel changes over the years, the current line-up features Richard Cushing on lead vocals and bass; Dr. Herman Green on tenor saxophone; Peter Climie on tenor, baritone and alto saxs; Andy Tate on guitars, electric sitar, glissintar, mandolin, dobro, cuatro and keyboards; Chris Stephenson on Hammond B-3, piano and keyboards; Jared Dover on trumpet; Greg Lundy on drums and Freedman Steorts on trombone. With ages ranging from 20-years-young to the 87-year-old jazz saxophone legend Dr. Herman Green, FreeWorld reaps the benefits of combining the energy and passion of youth with the power and muscularity of maturity. The majority of the tracks are upbeat and positive, both musically and lyrically. Even the ballad “Believe”, with lovely lead vocals from guest, Stephani McCoy, carries an uplifting message. 10 of the 11 songs on What It Is were written by various band members. The sole cover on the album is a nailed-on take on The Band’s classic “The Shape I’m In”. There are four instrumentals on What It Is: the funk-rock of “Shrimp N’ Grits” with its gloriously over-the-top guitar solo from Tate, the closing “Eve Waits” and the jazz-fusion of “Free The Moment” and “Sideswiped”, neither of which would have sounded out of place on one of Jeff Beck’s late 70s albums. Indeed, the entire album has something of a late-70s feel to it, with the easy virtuosity of the musicians and the willingness to let the soloists stretch out (only one track clocks in at under four minutes). The influence of the great horn-driven pop-rock bands of the era, such as Lighthouse or The Tower of Power, is self-evident throughout. Of course, the 1970s was not a perfect decade, and some of the self-indulgence of the era can be detected in the drawn-out introspection of the near nine-minute, “Eve Waits”, which is a slightly curious way to end an otherwise very impressive album. 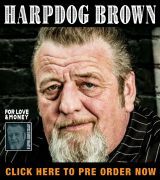 Produced and recorded at the legendary Ardent Studios in Memphis, What It Is isn’t a blues album by any stretch of the imagination. 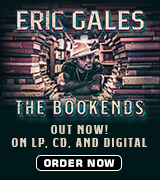 It is, however, a joyous soul-funk-rock album that will put a smile on the hardest of faces. What It Is is what it is and should be enjoyed as such.